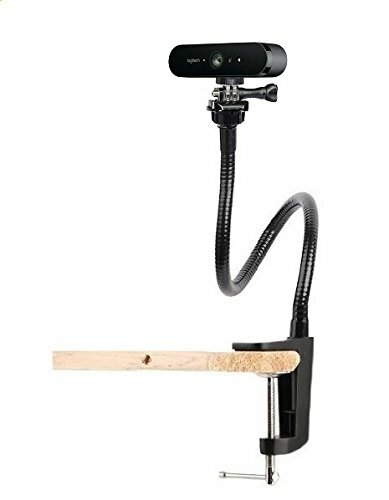 The mount adapter on the clamp is designed for webcam,card camera, action camera, Security camera, it is a good friend for your webcam. You can swivel and bend it any way you like and be confident it will remain in position. The clamp allows you to clip it to most light stands, pipes or board ect. The jaw of the clamp features a soft cushion that will help protect item surfaces, such as the surface of light stand. 360° rotatable head design allows you to take pictures from different directions. Made of high quality metal, strong and durable enough for long time daily use. If you have any questions about this product by AceTaken, contact us by completing and submitting the form below. If you are looking for a specif part number, please include it with your message.